The IoT era brings new opportunities to traditional industries and drives business evolution to create next-generation products and services. For massive deployment of fundamental IoT devices such as sensors and sensor nodes, it’s essential to rework network infrastructures to enable wireless connectivity as well as devices with processing capabilities, allowing for remote management and monitoring. Of course this will take time and effort. To enable a diversity of IoT applications, an open standard for sensors and sensor nodes is needed; it’s important and beneficial to IoT development when sensor makers and module makers work together to standardize the platforms and technologies. 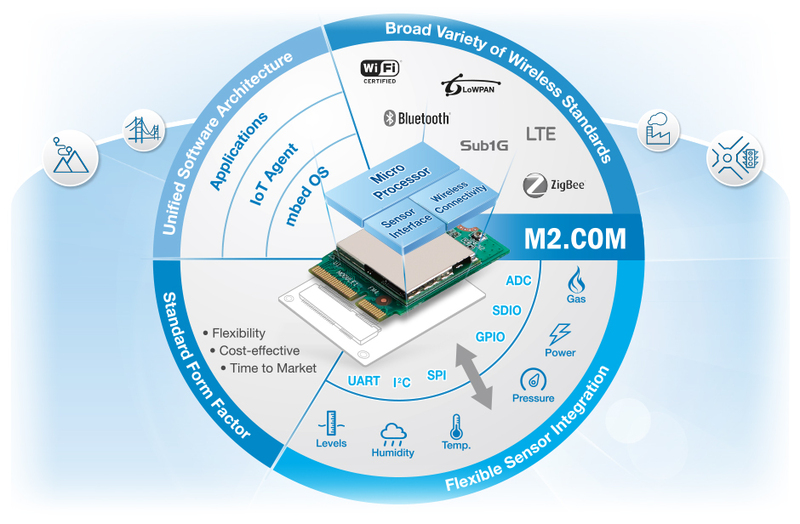 M2.COM is a brand new platform form factor for sensors. 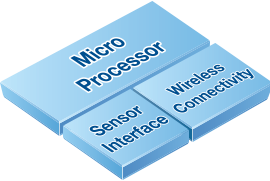 It adopts the standardized, frequently used M.2 form factor and is defined as an evolutionary module that combines general wireless connectivity with additional built-in computing ability powered by MCU. Intelligent wireless controllers that allow remote management, including lighting control, traffic sign control, etc. 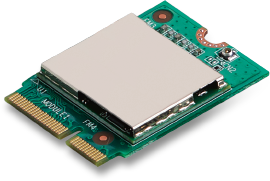 The M2.COM module is a proven hardware solution with RF certification; this reduces time and expense when applying for local/worldwide RF certification for IoT sensors and sensor nodes. A standard module form factor for sensors and sensor nodes benefits all those in this eco-system, including sensor makers, module makers, and sensor integrators. You no longer need to put everything into one sensor but can develop M2.COM and your sensor carrier board separately. Now the sensor maker can choose different M2.COM modules to transmit data by different methods, and the module maker can develop another M2.COM module that supports many sensors. This efficiently reduces the learning curve and helps you concentrate on your own area of expertise. Using an M2.COM standard module platform, it is easier to develop wireless sensors through a carrier board design. The certification-ready M2.COM module also accelerates the time-to-market, and the standardized and modulized design speeds up the production of your IoT sensor/sensor node as well. With the adoption of M2.COM, we're confident that the development schedule will be reduced by 50% and resources will be saved as well. Most important of all, your IoT sensor will have a faster time-to-market due to the adoption of the M2.COM standard. M2.COM adopts the type 2230 M.2 form factor with a 75-position host interface connector. The compact size is only 30mm in length and 22mm in width, which is very helpful for micro sensor implementation and system integration. In order to provide data collection and device control, the pin-out includes USB, PWM, SDIO, I²C, I²S, UART, GPIO, SPI, and ADC, all of which help build connections with IoT sensors and control end devices. It's very simple to connect various sensors to M2.COM by utilizing the rich I/O interfaces powered by the built-in MCU. USB A common interface for extending storage. PWM Motor control and power supply control. SDIO A common interface for extending storage through SD/MMC. 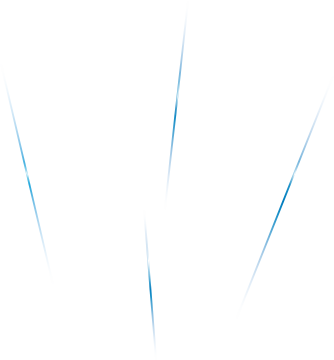 I²C The most popular interface for sensors e.g., pressure, temperature, moisture, and lighting sensors. I²S Supports audio codecs for broadcasting and playing audio through external speakers. UART A commonly used protocol for device control, such as motors and electrical control units. GPIO Basic I/O control, such as indicator lights, alarms, and buzzers. SPI LCM support to display values collected from the sensor or transmitted by an external device. ADC Using common GPIO pins, the ADC transforms the analog signal from the sensor into a digital signal, making the data readable and meaningful to the data analyzer. 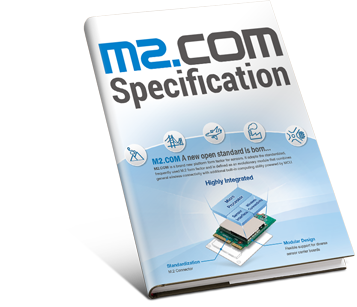 Please fill in the Application Form and send to M2COM.contact@m2com-standard.org, we will send you the latest M2.COM specification and design guide to your registered email. 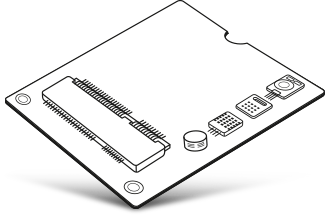 This document details the mechanical, electrical, signal, and pin-outs of the M2.COM module and carrier board. 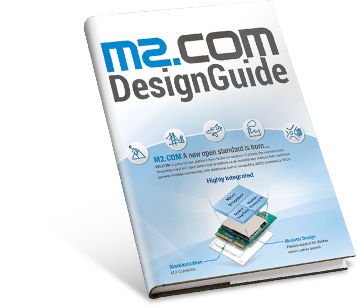 This document provides design recommendations for an M2.COM Carrier Board, based on an M2.COM Module. 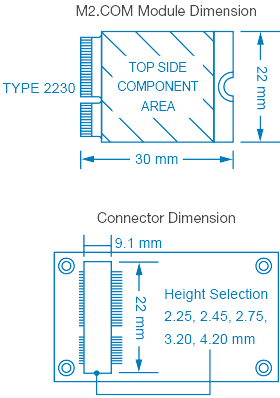 This document provides mechanical recommendations for module specifications, size, height and connector types.